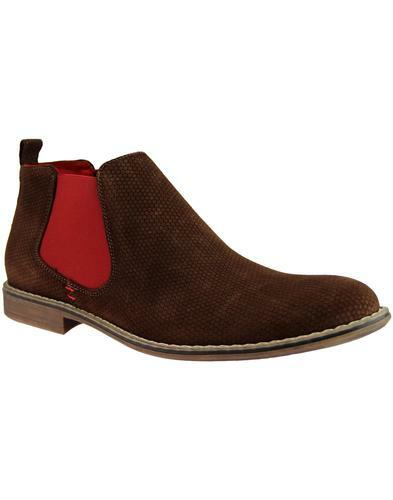 Paolo Vandini 'Smokey' men's retro suede Chelsea Boots in chocolate brown. An iconic silhouette perfectly executed to include retro colour pop interior details, vintage layered heel and wood effect outsole. 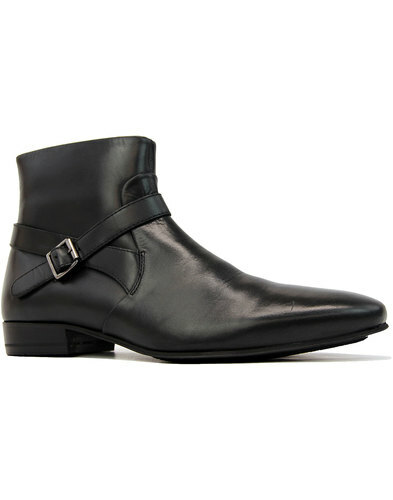 Canvas heel loop, classic mod rounded toe and elasticated gusset finish the Paolo Vandini 'Smokey' Chelsea Boots off in style. 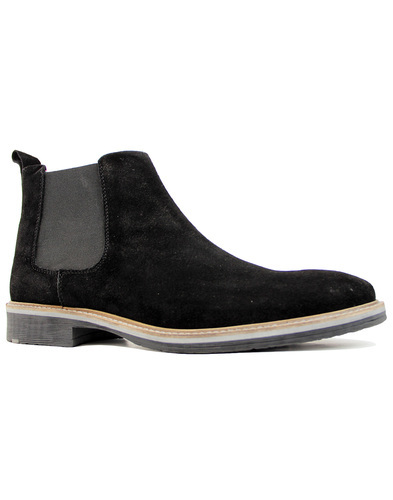 Add a miracle touch to your mod ensemble with the 'Smokey' suede Chelsea boots. 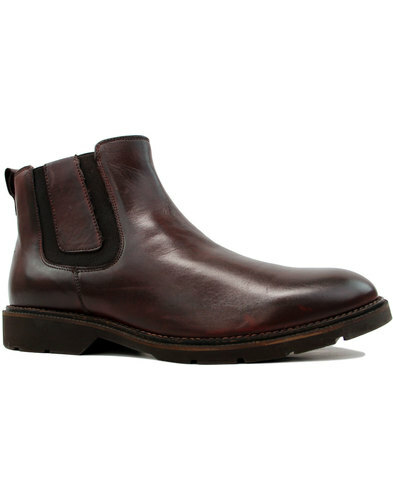 You've got Smokey Robinson and the Miracles, Smokey and the Bandit and now the Smokey Chelsea Boots. A trio of cool smokey stuff. - Paolo Vandini 'Smokey' men's retro suede Chelsea boots in chocolate brown. - Colour pop inner details. - Canvas heel loop to help pull the boots on and off. - Layered wooed effect heel and outsole. 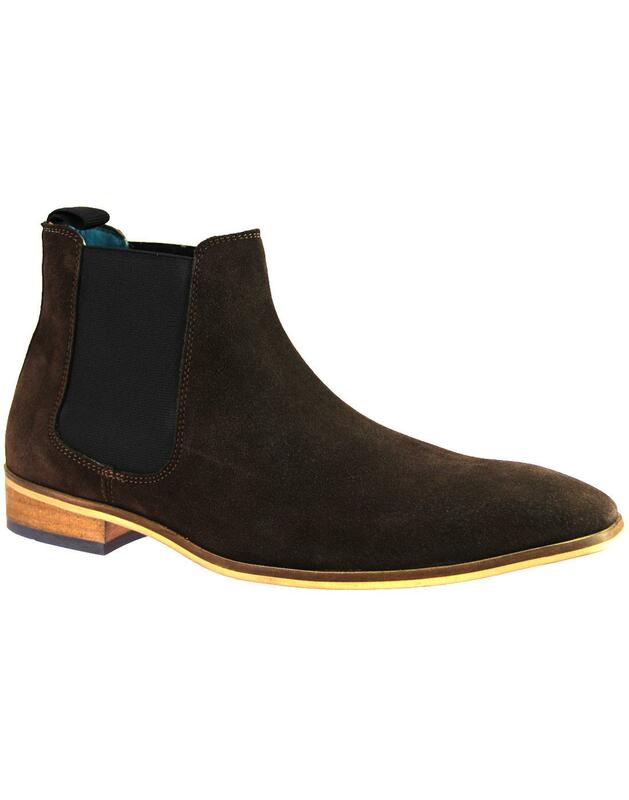 - SKU: Smokey Suede Chelsea Boots.